All-you-can eat in my mind, is usually translated to: do all you can to avoid. It can turn an evening out into an evening of desperately trying to get your money’s worth, then regretfully rolling home wondering when and if you will ever feel hungry again, which is why the Fazenda menu of all-you-can-eat steak seemed just too good to be true. 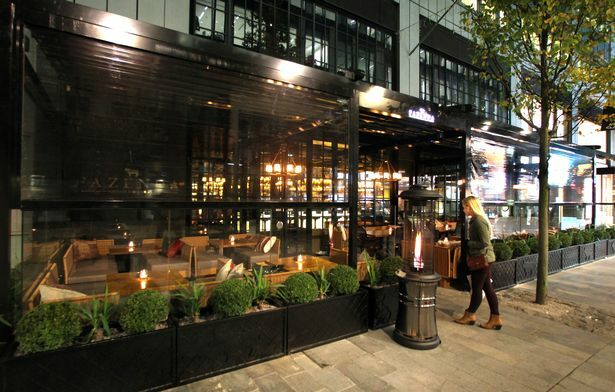 It’s situated in Spinningfields, a part of Manchester famous for great dining, so it would be highly unusual for it to be disappointing or unpleasant, any establishment not up to scratch just wouldn’t last standing in the shadows of the other fantastic places the concentrated area has to offer. Of an evening, the selection is a mere £29.50 a head (£19.50 for the vegetarian option), which seems a fair price to pay for an all-you-can eat that boasts superb quality meat. Surely there must be some sort of ‘catch’? My guard was fully up waiting, watching to see where Fazenda would fall short. It wasn’t however, in their attention to detail. 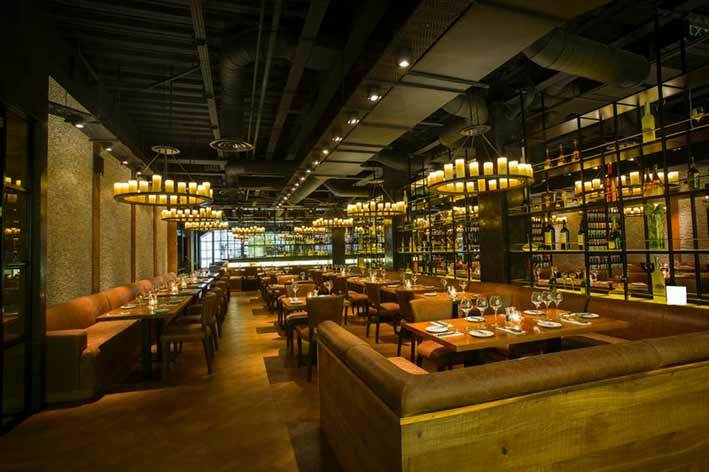 Their waxed sealed gift vouchers, beautifully branded stationary, hostess service and impeccably dressed waiters taking time to guide you through a Fazenda adventure of food, were all on point. The place oozes atmosphere, it is dark and the faces of the Thursday night crowd are light by a warm glow of candlelight. It’s a fascinating show, the waiters carry skewered meat through the restaurant stopping at tables with their green cards on show, offering them prime cuts of meat. The experience is worlds apart from a normal buffet, where uncles, aunties and cousins balance sausage rolls, triangle sandwiches and cheese onto paper plates. Instead, it’s a tormenting platform of delicious food, after delicious food and a journey round the circumference empty handed is needed to take it all in. Vegetables sizzling in silver chests, salads overflowing in large bowls, even sushi, fresh salmon and condiments, the choice so overwhelmingly fabulous you forget why you’re even here – the meat. With cards on green, the waiters began approaching with Picanha, their signature cap of rump, Sobrecoxa de Frango; marinated chicken thighs and Barriga de Porco; the sweetest, most delicious pork belly in the north, served with a honey and cinnamon sauce so good it would turn anyone that ‘only eats chicken,’ into a preacher of the red meat. A glass of the Tilia Malbec is great, with chocolatey notes breaking through layers of rich spice and plum (£7.80), they allow you to ‘explore by the pour’ using exclusive Coravin wine access technology which leaves the wine undisturbed, keeping the cork in the bottle to preserve the natural aging process, allowing you to taste a variety of top quality wines. It’s a hub of fantastic food and a comfortably immersive experience, if you need to pause, just place your card on red or as a sign that you’re simply ready for the bill. I would happily travel the length and breadth of the country to enjoy Fazenda again. It’s as though the genie has been let out the lamp here, making all my foodie dreams come true.